I grew up hearing my dad point out vultures flying above as we drove through the desert area. As a young girl, I wasn’t drawn to the word ‘Vulture’. 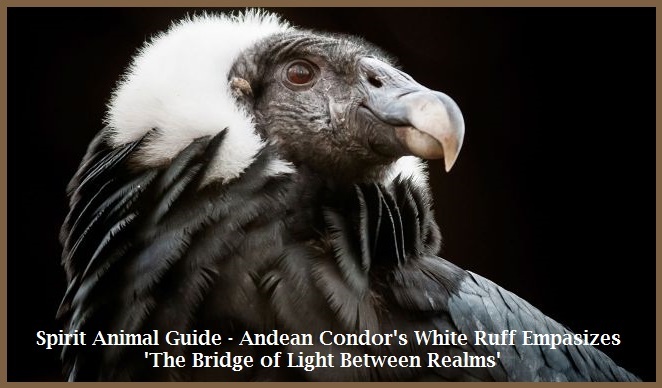 In A Shaman’s Miraculous Tools For Healing, by Alberto Villoldo, PhD with Anne O’Neill, he shares that the Andean Condor (Vulture), associated with the east, is the symbolic animal of Andean shamans. 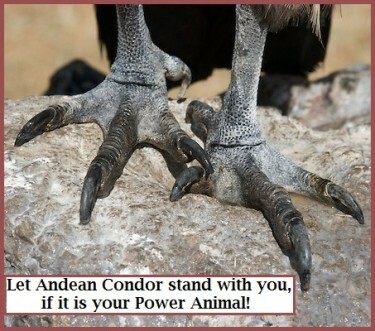 The condor is seen as the protector of the wisdom of the high mountains. 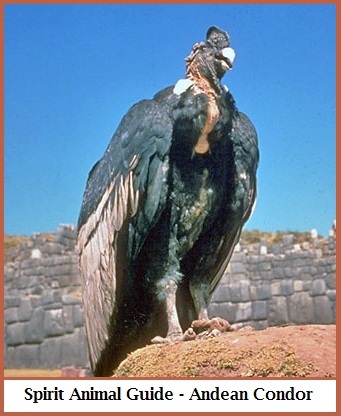 The Andean Condor is the national symbol of Argentina, Bolivia, Chile, Colombia, Ecuador, and Peru. It also is the national bird of Bolivia, Chile, Colombia and Ecuador. 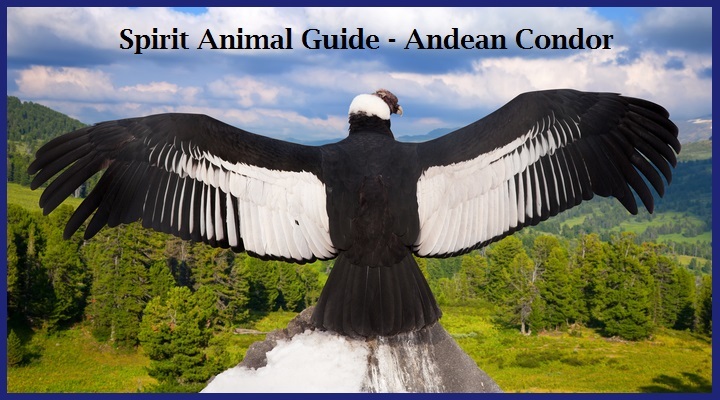 This encouraged me to study more about the Andean Condor which is the largest flying bird with a wingspan that can reach 12 feet and the California Condor that can reach 9 feet. Condors are considered sacred animals by many Native American cultures, particularly California Indian tribes and the Andean tribes of South America. • In the east you find the Condor who stands for vision. 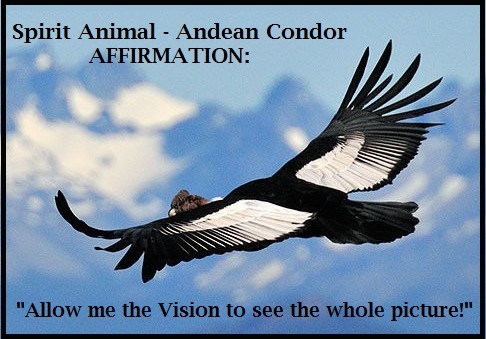 The energies of a Condor help you to find a clarity vision in your life. • When you pray, it is the Condor who takes your prayers up to the spiritual world and comes back with the answers for you. • With the eyes of a Condor you see with your heart and with the wings of a Condor you see life in a bigger perspective. • You’ll find a renewed sense of vigor, vitality, and enthusiasm about life. In the morning, take a few moments to greet the sun by standing with your arms out in a welcoming gesture. • This is a good time to retreat, and enter into a period of solitude and meditation. • You’re in a midst of a crisis, one that requires you to remain calm and adjust your thinking to accept the situation as it is before moving on to a solution. • You’ve lost someone in your life through death and want to contact their spirit on the other side. • You see yourself as having disadvantages and want to reframe your perceptions and beliefs to see them as assets. • You feel as if you’re in a mess emotionally, physically, or spiritually, and you want to clean things up. • You have the unique ability to make the best of a bad situation and find the rewards that result. • You are a somber and serious individual most of the time. • You are willing to take on distasteful tasks that others are unwilling to do. • You have the gift of mediumship, whether you’ve developed it or not, and can communicate with deceased loved ones and ancestors. • Because of your unusual appearance and your metaphysical gifts, others don’t understand you and may irrationally fear you, so they tend to keep their distance.